I wrote a few weeks ago that the idea of a hiatus for Chivas USA was the best possible solution to Major League Soccer’s biggest problem. But a good idea requires proper execution. At the time, little was known about the plan, including, importantly, the identities of the new ownership group that will be responsible for bringing LA2 back to life. Yesterday on Fox Sports’ Champions League pre-match show, Grant Wahl ended the mystery in revealing the owners who will spend more than $100 million to buy the second MLS franchise in Los Angeles. Wahl provided four names: Henry Nguyen, Peter Guber, Tom Penn, and, most notably, a certain Vincent Tan. 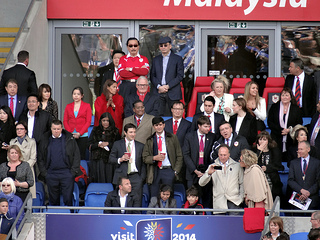 You may know him as the infamous owner of Cardiff City.